A big part of controlling digital information is that people can decide what information to store safely and what information to remove by using digital shredding. Since 1999 SafeIT Security has experienced rapid growth in the market and a constant increase in demand for the services and solutions provided. 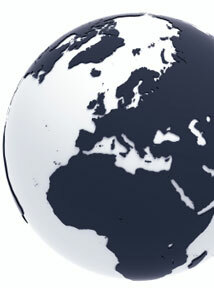 SafeIT has government, enterprise and individual customers in more than 30 countries worldwide. SafeIT also works with other software vendors that want to include digital shredding and encryption as a natural part of their offerings for concerned customers. SafeIT received the first Windows 7 as well as VISTA certifications in the world for digital shredding and encryption products. SafeIT will continue to develop this market to service our demanding customers that want full control of their digital information. SafeIT is a Microsoft certified partner to ensure that our software is based on the best possible knowledge and information of the windows platforms. SafeIT has a strategic partnership with the world leader in professional data erasure solutions. SafeIT was selected by Sony Vaio to supply the Data Shredding application to be included in the Vaio security center. SafeIT aquired by Blancco and now part of Regenersis group. New business with several Fortune 500 companies during the year. Enhanced functionality to erase additional virtual and logical environments with SafeIT technology. SafeIT continues to develop for Data End of Life in virtual environments. New solutions released with full VMware integration. Continued strong growth with established partners. Windows 8 certified products released and implemented by customers. Cloud service providers fastest growing customer segment. SafeIT becomes VMware Technology Alliance Partner. First beta version for Windows 8 for the SafeIT products released. SafeIT win new long term contracts with partners targeting the public sector and over 50.000 users added to the user base. SafeIT further enhances the technology portfolio to include capabilities for data shredding in advanced storage solutions on both physical and logical levels. Outlook 2010 supported by SafeIT E-mail Shredder for Outlook. New large contracts to service the Payment Card Industry with shredding solutions. Windows 7 certifications completed for all products. Windows 7 fully supported and all products compliant and in certification process. First large contract with DELL signed covering 15.000 government users in Mexico. Additional international partners signed up and increasing sales. A new Secure Disk solution for efficient encryption in Windows Vista is released. SafeIT becomes a member of the Microsoft SecureIT Alliance. New strategic OEM partnerships signed. SafeIT signs a distribution agreement for the Chinese market. New product offerings for specialized digital shredding needs released. SafeIT surpasses more than one million licenses distributed of its software. SafeIT is the first company in the world to achieve VISTA certification for digital shredding and encryption software. SafeIT is also the first shredding supplier supporting permanent removal of VISTA Previous versions. SafeIT is selected by Sony Vaio NA to represent the data erasure category in the Vaio security center. SafeIT is selected for the GoGlobal program by Sting in Sweden for growth companies with high export potential. SafeIT becomes a Microsoft Certified Partner. First Windows XP certifications of standard products and also part of the Microsoft Independent Software Vendor empowerment program. SafeIT wins two large OEM contracts and starts serving both Government and Corporate customers in Asia and Western Europe. SafeIT CEO is elected to join the board of the Swedish Software Industry. SafeIT moves into new offices on Engelbrektsgatan 7 in central Stockholm. SafeIT export sales over the Internet expands fast and strategic contract is signed with the US based Digital River. SafeIT wins the Swedish NT awards for outstanding technology. A portfolio containing both encryption and shredding software is released in the market. SafeIT is founded in Sweden by a team with more than 30 years of experience from the security and software markets.